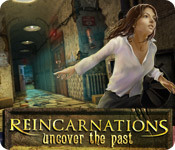 Reincarnations: Uncover the Past is rated 3.9 out of 5 by 31. Rated 5 out of 5 by danichar from So many hidden objects! 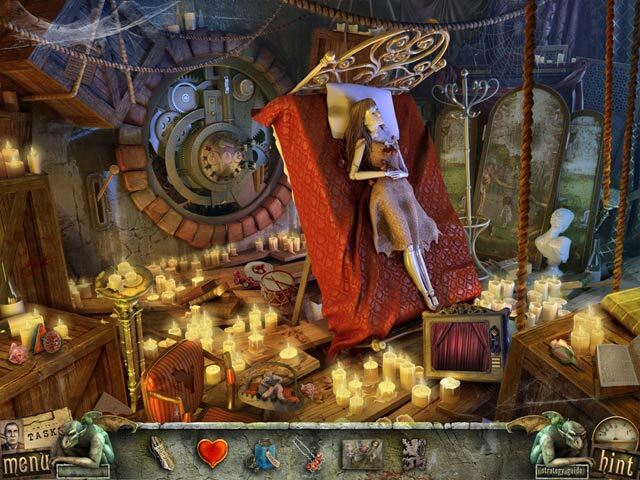 This one actually had a ton of hidden object scenes which I loved of course! It also went along quickly but not too much so. The movement from scene to scene was smooth and the visuals and details were quite great! This is the first game I've really loved in a while! Rated 5 out of 5 by BooBearLC from Fun, fun, fun What a beautiful game! The puzzles aren't too, too hard and there are lots of HOPs. If you like lots of HOPs, like I do, this is a great choice! Rated 5 out of 5 by cbilbo from Great game for the weekend The hidden objects in this game were fairly simple to find. A few of the puzzles had some complexity to them. I had to use the hint twice during this game. The cut scenes were not the best. The story line wasn't that great either, but then I didn't pick this game for those reasons. I did, however, enjoy this game. It was fairly long. It allowed me to play for the weekend. (In between doing work around the house.) I would suggest this game to anyone that has time to just kill and not into storylines. Rated 5 out of 5 by rosekaufmann from Another Russian Wonderpiece Based on complete game. Several hours long. Probably not for newbies to HOGS. As with other VOGAT games (I never realized until today just how many I had), the game was enjoyable, great graphics, good background music, terrific story and gameplay. There are two reincarnated lives to visit (each of good length and is a story in its own right) plus the short prologue and the asylum. The artwork for Venice was particularly gorgeous, bright and colorful. As seems to be the pattern, the artwork for the asylum is gloomy – everything looks old and decrepit even though the main character is supposedly there currently. Couldn’t help but laugh, while in the asylum, over the trading of chocolate for a button and the panda rocking on the too-small rocking horse. And I must say that the termites sure do work fast in the first reincarnation. There are quite a few puzzles (none repeated) ranging from easy to somewhat difficult and plenty of typical HOS; the objects are not too small and there is some interaction required. There is a moderate amount of traveling back and forth in the stories. 4.5 stars deserving to be rounded upward. Ending: more to come. They will be on my buy list. Rated 5 out of 5 by catbag8717 from You'd Be Mad To Miss This! This game is a gem. Pure and Simple. Here are my thoughts: Good Parts: Hint and Skip buttons have a great recharge speed. It's a rare occasion when I compliment the puzzles of a game. There were a mix of easy and hard puzzles, which added to the fun of the game. A great game is complimented by great graphics and music. The graphics match the feel of the game and are very well designed, while the background music is ideal for the game. 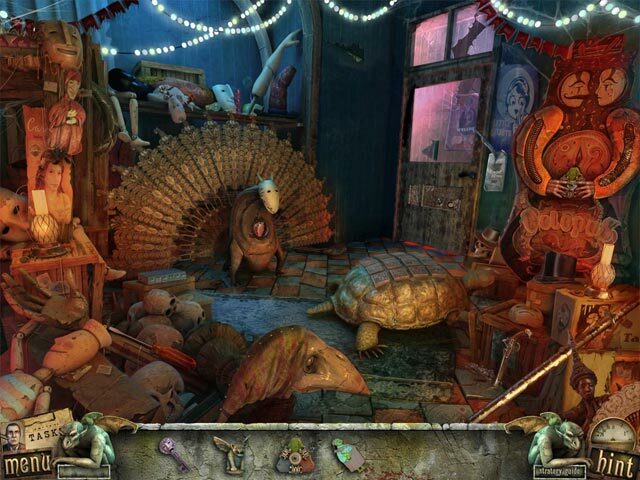 The Hidden Object Scenes. 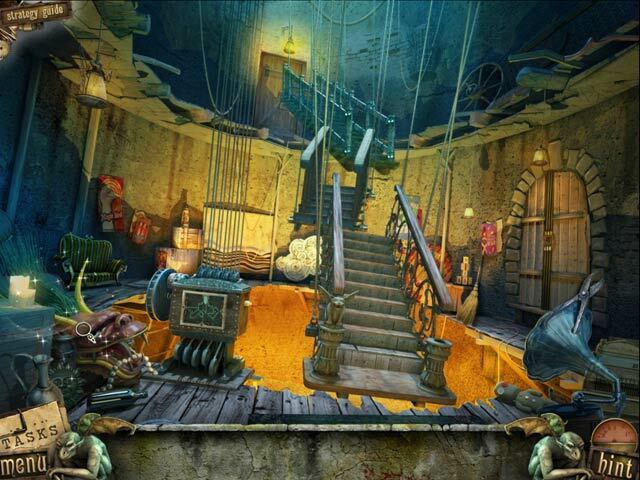 There were no shortage of Hidden Object Scenes. I liked how at least one of the items was in a group (x5, x4 etc.) and how there were interactive objects. OK Parts: Sometimes there were too many tasks and I'd be going all over the place to try and complete them. Bad Parts: The only downsides to this game would be that sometimes it was really hard to figure out what to do next, and the ammount of going back and forth Id have to do. I'd find something some place which would be needed 3 scenes back. This really bothered me. Overall, I couldn't find a fault with this game. From its great storyline, to its graphics and music. I loved everything about it and I'm sure you will too. Rated 5 out of 5 by bsnbsn from Reincarnation: Recover the Past I purchased all three of the Reincarnation games. I do not believe in reincarnation but I enjoyed the games. The HOG's are well concealed and the mini games are very challenging. The hints regenerate quickly and give you good advice to complete the games without the strategy guide. Lots of fun. Rated 5 out of 5 by aleta59 from Another great Vogat game Wasnt sure I was going to like it as it started out with too many HOS. Then, it switched in the second story (there are three), and from then on it was great. Very crisp graphics, HOS easy to see (junk piles, but very attractive ones!). Nice music. Very hard mini puzzles, had to skip a lot of them. Had to use walk thru a couple of times as I got stuck. Very enjoyable game. Rated 5 out of 5 by TrinityPurple from I love games like this. On a nice day off from doing nothing at all, this game was a great past time for me. I hope to keep downloading games like this always.